When property owners discover that their property has been affected by a leaky pipe or a toilet overflow, they can call the commercial property damage Tahoe unit at 911 Restoration Tahoe at any time, because we are available 24/7/365. 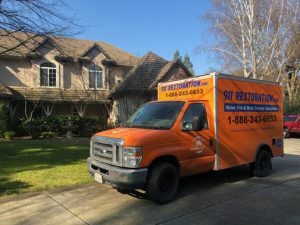 Our commercial property damage Tahoe repair workers will be at your door within 45 minutes to begin restoring your property, along with working with IICRC certified technicians. We always want to be available to help you, no matter what time of day or night your emergency occurs, because with all our experience in the field, our commercial property damage Tahoe team knows what an important factor time is in the clean up process. Call our commercial property damage Tahoe repair aids today, and we will give you a free property inspection to ensure that our commercial property damage Tahoe team understands the complete extent of the work that needs to be done on your property. When you are in need of a fresh start after a roof leak or a burst pipe, our commercial property damage Tahoe specialists will be there to save your property from acquiring permanent damage. Our commercial property damage Tahoe team acts fast and efficiently, and always use state-of-the-art water extraction and drying technology available in the business, especially when dealing with a fungus and mold issue. When your property experiences a mold infestation, it has the potential to cause a health risk for anyone living in the property, causing headaches, itchy eyes, wheezing, sneezing, coughing, skin rashes and other allergy-like symptoms. 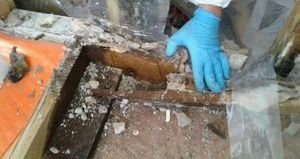 In order to make sure that mold eradication procedures are entirely necessary, our commercial property damage Tahoe techs will conduct a free property inspection, where they look at both the scope of the water damage and scan the property for mold in even the most hard to reach places. Even if you can’t see it, call our commercial property damage Tahoe techs at the first sign of mold in your property, and we will do everything we can to make sure your building is a safe environment for you and your family. Along with providing you with the highest quality restoration services for your leaks, flood and mold, our commercial property damage Tahoe techs will also assist you with the financial aspect of the process. Even though our commercial property damage Tahoe experts offer affordable prices to begin with, our commercial property damage Tahoe professionals still work with all insurance providers to keep your out-of-pocket expenses low. In fact, our commercial property damage Tahoe team will file your entire claim for you, making sure that your insurance provider gets all the necessary information to give you the best coverage possible. So, call our commercial property damage Tahoe staff at 911 Restoration of Tahoe today and you can be sure that our commercial property damage Tahoe technicians will give you a fresh start.